Has an Orange County competitor stolen your trade secrets? Has a former employee disclosed your intellectual property to another Newport Beach company? California trade secrets owners work hard to develop and protect their innovative ideas, and victims of trade secrets theft are eligible for significant financial compensation and other remedies. But proving a company stole your trade secrets isn’t easy. A Los Angeles company may argue they themselves developed the design. A corrupt Silicon Valley entrepreneur may claim your trade secret was free for anyone to use, that it confers no competitive advantage, or that their invention is different from yours. In order to prove you deserve compensation for the loss or misuse of a trade secret, it’s important to understand your rights as a California trade secrets owner, get a feel for the trade secrets litigation process, and pick up some inside tips and tricks on California trade secrets litigation. This guide intends to offer just that. You can find additional information on California trade secrets lawsuits our free eBook, Guide to California Trade Secret Lawsuits, now available for download. More and more California companies and entrepreneurs are electing to protect their proprietary information by branding as trade secrets rather than patenting information, mostly because patents offer desperate competitors ample opportunity to discover valuable, confidential details. Yet today, even trade secrets aren’t immune from theft. In fact, the U.S. economy loses an estimated $300 billion per year to trade secrets misappropriation. Increased employee mobility is part of the problem. Modern employees don’t tend to stick with the same company as long as they used to. Nowadays, employees often transfer to competitor companies as they move up in their careers, taking documents, computer files or memorized information with them. Digital technology opens up all kinds of doors for information leaks. Files are uploaded to the cloud and emailed to home computers. Vast amounts of information can be stored on a tiny flash drive. Everyone’s personal cell phone has a camera, and hackers have little trouble accessing poorly secured company networks. As a result, trade secret litigation is rising. Between 1990 and 2015, trade secret owners collected monetary damages totaling around $3 billion from trade secret misappropriation cases, with five awards totaling over $100 million each. Once the federal Defend Trade Secrets Act of 2016 (DTSA) was enacted, trade secret litigation increased even more. According to Lex Machina’s 2018 Trade Secret Report, trade secret owners have brought more than 9,800 cases under state laws and the DTSA since its enactment. Between 2009 and 2016, the courts saw an average of 860 to 930 trade secret case filings annually. In 2017, that number jumped to 1,134. And many plaintiffs are winning. Trade secrets owners are winning around 69% of trade secrets misappropriation cases (compared to fewer than half winning civil trial cases overall). Courts dismiss only about 22% of cases (lower than the 27% average dismissal rate for federal court civil litigation). What is a Trade Secret in California? A critical component of any successful California trade secret lawsuit is being able to prove your information qualifies as a trade secret. In short, the court considers information a trade secret if (1) it isn’t generally known by others, (2) it would be valuable to competitors, and (3) the business expends considerable effort to keep it a secret. California employers retain ownership of any trade secrets created by an employee using the employer’s resources or work hours [California Labor Code §2860]. So, if a Beverly Hills employee takes some work materials home and uses them to invent a new gadget on his own time, the employer still owns the invention. What is Trade Secret Misappropriation in California? Under California law, trade secret theft, or “misappropriation,” occurs when someone knowingly acquires a trade secret through improper means - or uses or discloses an improperly acquired trade secret. Even when someone just has “reason to know” that the trade secret was acquired through improper means, a California court can find them guilty of misappropriation. So, if a San Bernardino employee accidentally loads his ex-employer’s trade secrets on his new work computer, he could be guilty of trade secret theft. CUTSA does not include reverse engineering and independent development as improper means, but exceptions could apply. Be sure to check with an experienced California trade secrets lawyer before deciding you don’t have a case. California larceny laws [CA Penal Code §499(c)]: It is illegal to steal, use, or make a copy of a trade secret without authorization if done with intent to deprive the trade secret owner of control of the trade secret, or with intent to appropriate the trade secret for their own or another’s use. It is also illegal to accept or offer solicitations or bribes to disclose or obtain a trade secret. California Computer Fraud and Abuse Act [CA Penal Code §502(c)]: It is illegal to knowingly access any data, computer, computer system, or computer network without permission, in order to defraud, deceive, extort, or wrongfully control a trade secret. Economic Espionage Act of 1996 [18 U.S. Code §1832]: Trade secret misappropriation becomes a federal crime if the thief knows or intends that the misappropriation will injure the trade secret owner. It is also a federal crime to knowingly possess, receive or buy a misappropriated trade secret. What Remedies Do California Trade Secrets Lawsuits Offer? The court can issue an injunction to prevent the thief from disclosing the information. This injunction can remain in place for as long as it takes to avoid damage resulting from the misappropriation. In cases of willful or malicious misappropriation, the court can require the thief to pay the victim royalty payments on any future use of the information for as long as the injunction is in effect. Once a trade secret is out, an injunction may not be of much use. In this case, victims of trade secret misappropriation can seek financial compensation for any losses incurred and for any profits (unjust enrichment) a company gets as a result of your trade secrets. If you are unable to prove actual losses, the court can still order reasonable royalty payments for as long as the trade secret’s use could have been prevented. If the court decides that the trade secret theft was willful or malicious, it may also award punitive damages equaling significantly more than the award amount, plus attorneys’ fees. In addition, you may have a federal private right of action. Under the DTSA, if a trade secret is used, or intended to be used, in interstate or foreign commerce, you can collect remedies like those listed above. Because DTSA doesn’t override the CUTSA and can be litigated simultaneously with a state trade secret misappropriation claim, victims of misappropriation can select the best forum (state or federal) for their case. How Do I Prove Trade Secrets Theft in California? The defendant improperly acquired (via fraud, bribery, theft, espionage) OR improperly disclosed (with reason to know it was improperly obtained) the trade secret. Does the information give the business a commercial, competitive advantage over others? How easily could others create or acquire the same information? How many people outside of the business know the information? What has the business done to keep the information secret? What resources has the business expended in acquiring or developing the information? What resources were required to create or acquire the information? Who within the business knows the information? California trade secret owners must also be able to explain the trade secret with “reasonable particularity” before commencing discovery [CA Civ. Proc. Code §2019.210]. This requirement is meant to dissuade trade secret owners from just “fishing” for whatever information a defendant might have on their business. It helps protect defendants from having to disclose their own trade secrets, helps the plaintiffs focus their investigation and helps defendants hone their defense. The court decides whether you have described your trade secret with “reasonable particularity” based on the specifics of your case. If you don’t do this right, the defendant may be able to refuse discovery requests until you meet this requirement. Failure to do so could result in dismissal of the case. Understandably, most trade secret owners are concerned that their trade secrets will be disclosed somewhere throughout the litigation process. An experienced California trade secrets lawyer will be vigilant in pursuing successful means of protection throughout litigation, including the use of sealing orders, discovery viewing restrictions, protective orders, limited courtroom access, private hearings, and the federal Takings Clause. Unlike CUTSA, the DTSA does not require the trade secret owner to specifically identify and define the trade secrets prior to starting discovery. Therefore, DTSA plaintiffs have an informational advantage and better control over the potential disclosure of trade secret information during the process. While an aggressive California trade secrets lawyer will have extensive investigative resources to gather all evidence surrounding your case, you will want to record everything you suspect or know about the misappropriation, including names and phone numbers of all involved and any witnesses. Create a safe place to log information, including specific dates, times, incidents, computer IDs, places and names that have any relationship to your suspicions. These details can be critical to proving your case. Safeguard this information carefully. Don’t keep your logbook at work or on a public computer and don’t send any information via your work email account. You may also want to prepare to estimate the amount of financial and/or market loss involved and begin to define exactly what information was misappropriated. Be careful when gathering evidence to support your information. Trade secrets owners must follow proper procedures when collecting documents, data, media, or other evidence to support their case. An experienced California trade secrets lawyer can help you determine what documents and evidence are helpful for your case and how to obtain these documents legally. While proving trade secrets misappropriation might sound easy, remember you are going up against a defendant who will have their own arguments against your claims. Knowing how to counter these defenses in advance is vital to winning your case. An experienced California trade secrets lawyer will help you gather the evidence and information required to beat these defenses. For example, you can show that an injunction is appropriate by showing evidence of harm, like customer base losses, overall market share loss, or the defendant’s expected difficulty paying damages. Evidence of a nondisclosure agreement can help show that your information was not accessible via proper means. In addition, any security measures taken to protect your information, including computer network security, employee access restrictions, and employee policies can help show that the information was not accessible via proper means. Defendants often try to argue independent development by saying they completed their design before the date that you say the misappropriation occurred. You can beat this defense by showing that the design’s development wasn’t predictable or obvious. If the defendant claims that their invention serves a different function, contains different components, or performs better than your trade secret, you will want to highlight similarities and that they could not have achieved their invention without knowing your trade secret. Reverse engineering is another common defense. You can successfully fight this defense by showing that your trade secret is still in the production process, that you have an end-user licensing agreement prohibiting reverse engineering, or that the defendant acquired the product illegally. You could also argue that your former employee’s help was critical in guiding the defendant in the right direction (or away from the wrong direction). Any evidence of theft, bribery, breach of duty to maintain secrecy, fraud or espionage is, of course, helpful in proving misappropriation and improper means. You can show that the trade secret does indeed create a competitive advantage through market analysis and other evidence including lost sales or the defendant’s profits gains. Your lawyer can help you estimate the additional sales and profits you would have made if the misappropriation hadn’t occurred, including revenue minus costs. To estimate lost profits, you can use factors like market structure, product demand, and period of advantage (the amount of time the defendant saved by not having to go through the costs, labor and time of research and development because they accessed your trade secret). You can use the same factors to calculate any economic gains and unjust enrichment the defendant enjoyed due to the misappropriation. Your ability to gather evidence, prepare a persuasive case, and challenge the defendant’s arguments can mean the difference between a successful California trade secrets lawsuit and the loss of your intellectual property and profits to an undeserving competitor. How you present the specific circumstances of your case, the extent of your losses, unjust enrichment of the defendant, any willful or malicious intent, and other factors, determines the exact amount awarded in a California trade secrets theft lawsuit. Obtaining an experienced California trade secrets lawyer immediately after you suspect trade secrets theft is critical to obtaining the maximum available compensation and remedies. A hard-hitting California trade secrets attorney will protect your proprietary information, your rights as a trade secrets owner, and the success of your claim. Because of the complex California trade secrets claims process, potential procedural obstacles and the aggressive opposition, victims of trade secret misappropriation need a California trade secrets attorney with the specialized knowledge, investigative resources and extensive track record required to win these important and difficult cases. Though many trade secrets cases are resolved through settlement, mediation or arbitration, the necessity for trial is common. Having a California trade secrets lawyer with decades of business litigation experience who is willing to take your claim all the way can help ensure a successful outcome. A quality California trade secrets attorney will have access to the nation’s top investigative experts to help prepare your case, along with extensive experience defending and representing high-power, national, and international companies in both state and federal court. Located in Newport Beach, our California Trade Secrets Litigation Law Firm represents California trade secrets owners located in Orange County, Beverly Hills, Riverside, San Diego, Los Angeles, San Bernardino, San Jose, San Francisco, Silicon Valley, and across the state. 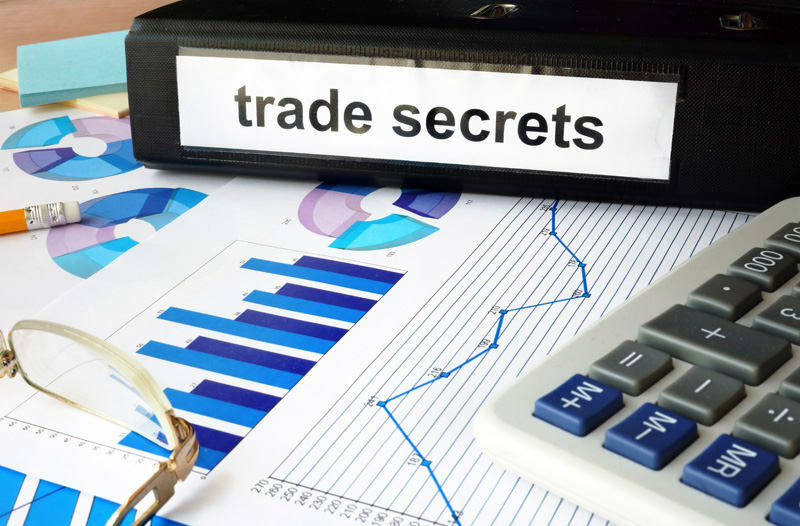 If you have further questions about filing a trade secrets misappropriation claim, your rights as a trade secrets owner or other concerns, please call California Trade Secrets Attorney Steve Hochfelsen at 714-907-0697 or Connect Online. Steve Hochfelsen is an Orange County, California business litigation lawyer and author. To connect with Steve: [hidden email] or 714-907-0697. Steve Hochfelsen is represented by Elite Lawyer Management	, managing agents and PR reps for America's best lawyers.